CJ4. 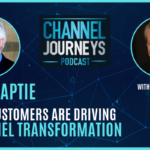 This episode features channel rock star Jay McBain, a super-connector and channel analyst with Forrester Research. 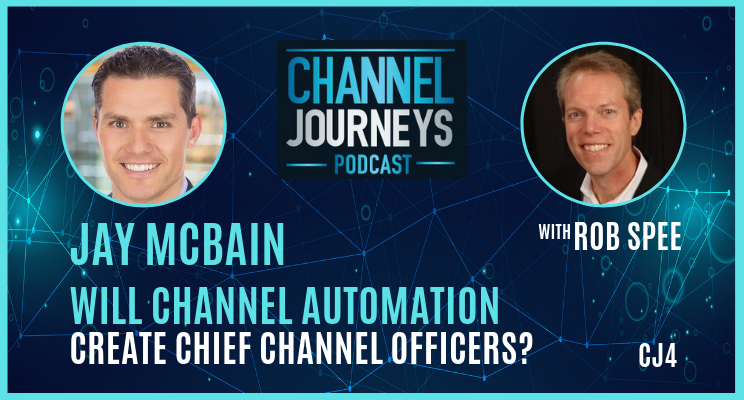 Jay shares his analysis, insights, and predictions on the channel, including a wave of channel automation that could turn Channel Chiefs into Chief Channel Officers, just as marketing automation has turned Marketing VPs into Chief Marketing Officers. Jay talks about his channel journey, how he became fascinated by numbers, and his quest to visit 100 countries on roller blades. The first stage of automation, Customer Relationship Management (CRM) started in the sales department 20 years ago. Now just about every company has invested in CRM. As sales management becomes more scientific, you need CRM expertise to become a VP Sales or Chief Revenue Officer. The second stage, Marketing Automation, started 10 years ago. Today, it’s hard to imagine a Vice President of Marketing or Chief Marketing Officer not having experience in leveraging Marketing Automation. Today, it’s time for the third stage; channel automation using Partner Relationship Management (PRM). Over the next 10 years, Channel Chiefs will pave the last mile to the customer with PRM. Jay has been in the channel his entire 25 year career and has kept a channel blog the entire way. He loves the numbers. Started when he got an Apple II. Threw out the games, learned basic, and built his own version of Quicken. Now has 35 years of transactional data. Jay counts, analyzes, digs deeper to ask questions multiple layers down, then publishes results, like his 10 Rules to Guarantee a Promotion to Channel Chief article. Channel Chiefs look more like CEOs. Indirect channel drives 75% of sales, yet channel still has a complex, the neglected stepson. Visited 85 countries on a mission to eventually visit them all, many on roller-blades. Got an MBA in the channel (entrepreneurship and family business) by taking 10 night courses in 10 months. MBA valuable, but recommends channel pros work for 10 years to gain a wide variety of channel experience before getting MBA. Now looks at the channel from a much broader perspective. The journey goes well beyond the reseller. Best channel programs recognize the large ecosystem of different types of partners and organizations touching the customer. Includes the non-transacting partners who are influencers. Requires different methods to bring them on board and motivate them to co-sell, co-market, etc. 73% of Salesforce customers prefer to buy direct or from marketplace. Doesn’t make sense for partners to be reselling at 10% to 20% margin, when they can make 70% margin on services. 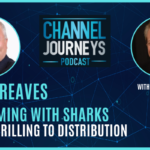 Gig economy is coming to the channel as every service becomes an uber-like service. Customers buying directly from vendors via marketplaces is going to accelerate, which is going to decelerate resell.